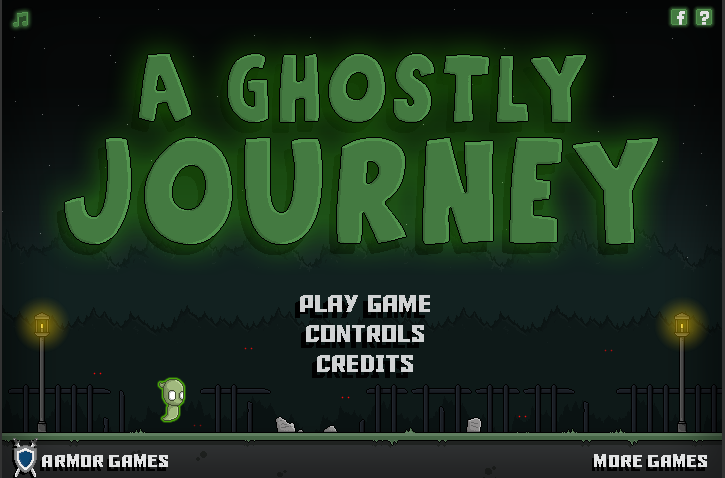 A Ghostly Journey is a fun little puzzle platformer with a fairly unique mechanic. 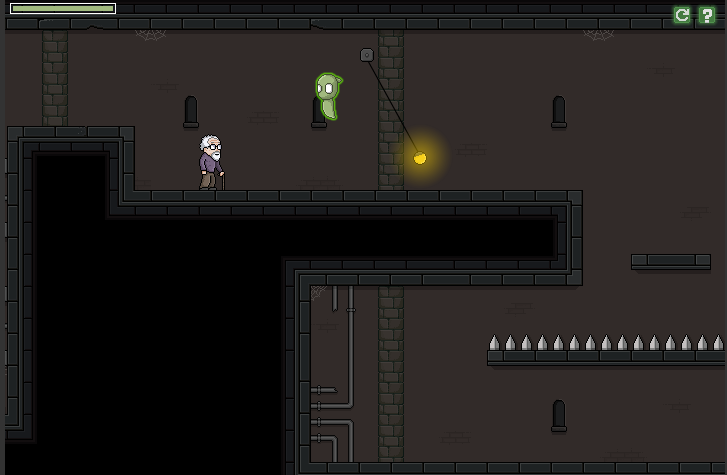 You play a ghost who possesses people (and rats) to get past obstacles and solve puzzles. The puzzles are satisfying, the platforming is challenging but achievable, and the overall experience is very enjoyable. It's a fairly long game, and while some sections do seem a little repetitive, there are enough gameplay changes throughout the game that it stays fresh enough to leave you smiling at the end. The main focus of the game involves possessing unassuming pedestrians to fulfill your ghostly needs. People can flip switches and activate various devices, while animals such as rats can squeeze through small areas. There are also other types of characters later that have weapons. You have to navigate the levels while avoiding the light sources, with the end goal of reaching a final doorway. "Don't mind me, I'm just going to possess and use you and then leave you stranded somewhere strange!" This game has a lot of character. The player's ghost is introduced as a nice little guy who doesn't want to hurt people (he explains that the possession process doesn't injure them in any way) and he has a few nice soliloquies as he travels with the player. All in all, it was a good way to make the ghost fun and likable. I wouldn't really call that a required feature of a flash game, but it was very appreciated in this case. The level design is very refreshing. As you travel through the overworld, there are obvious little sections inside the game. 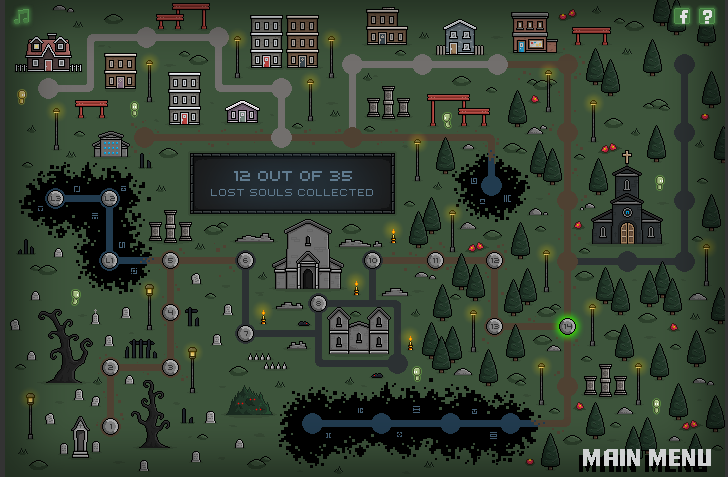 You have a few levels in the graveyard, then some in the church, followed by a park. Each time you move into the new area, the whole game radically changes. Each area comes with new creatures, new challenges, and different methods required to solve the puzzles. It really does a fantastic job of keeping the gameplay engrossing. "Over the gravestone and through the chapel, to the afterlife we go!" There are collectibles in the levels that add a little extra kick to the game. They are used to unlock extra levels in the game (which are generally harder than the rest), but they aren't necessary to beat the main levels. They offer a nice challenge and an extra layer to the levels. I thought that they were well balanced as far as difficulty vs reward, because the extra levels were also very fresh and new. It would also increase the replay value if you're a completionist. I'd say this was a very interesting entry into the puzzle/platformer genre. It was fun, the controls were fairly easy, and the puzzles were satisfying without being too frustrating. I definitely think its worth a playthrough. Let me know what you think of A Ghostly Journey!